Fancy making some extra cash cooking from home? Sign up as a home cook with GetFed by clicking below! Go on, try some of these! A holiday weekend spent hunting for chocolate eggs in the back garden is a weekend well spent. 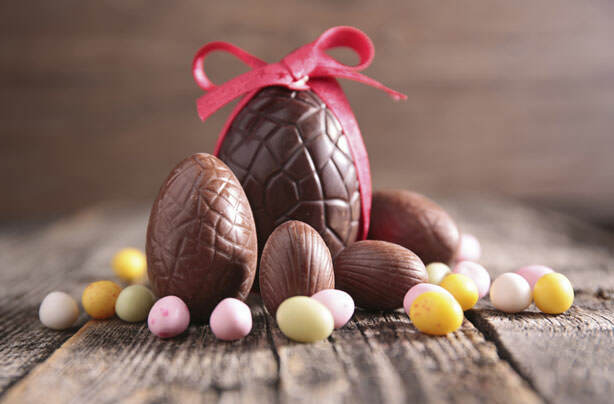 The mysterious Easter Bunny loves a big dinner, and we've been in close discussion with him to find the best recipes for this special holiday. We settled upon these recipes: a collection of chocolaty delights (we all know the importance of chocolate at a time like this), rich lamb roasts, and of course, hot cross buns. Give these a try at home! Don’t forget to share your Easter food efforts with us on Instagram with the #GetFedEaster hashtag! We’ll be sharing the best of the bunch at the end of the month. Don't forget that you can sell your home cooked meals to hungry neighbours in your community on GetFed. Click below to register as a home cook now!